Bluey: Let’s go back to China just for a moment. The president is now talking about some sort of a trade deal with China. Obviously, he’s had engagement with high-level officials there. What do you make of some of the next steps that you expect to see from this administration when it comes to China? 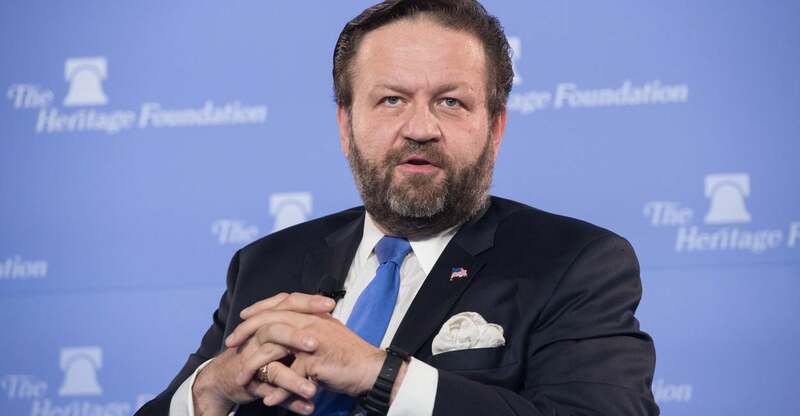 Gorka: There’s two things. There’s two broad baskets. No. 1 is what they’re doing illicitly. This is declassified now. Your listeners can look it up thanks to the Department of Justice, which brought the case and then declassified it a few years ago. A Chinese agent was intercepted in the Midwest in a cornfield. Not in the bowels of the Pentagon or the National Security Agency. He was apprehended in a cornfield. Why? Because he was stealing samples of American genetically-modified, blight-resistant corn to take home to China so the communist government could reverse engineer that intellectual property that had been developed at the costs of who knows how many millions of dollars here in America. No. 1, we have to counter the subversion, the theft of our intellectual property, the work of the Confucius Institutes in America, which are funneling anti-Western messages. Then on top of that, the second basket is what the president does in the overt domain, in the public diplomacy [JB emphasis] domain. We have to send a very clear message to American companies. We have to build, with The Heritage Foundation and everybody else, an information campaign that educates Americans that communism. On Nov. 9, 1989, the Berlin Wall may have come down, but communism is not dead. My Fair Lady - You Did It Lyrics | MetroLyrics. Pickering: Tonight, old man, you did it! Henry: Now, wait! Now, wait! I must have aged a year tonight. And after that I found it deadly dull. Every one wondering who she was. You'd think they'd never seen a lady before. Henry: Thank Heavens for Zoltan Karparthy. If it hadn't been for him I would have died of boredom. Mrs. Pearce: Karparthy? That dreadful Hungarian? Henry: Yes. He was there, all right. And up to his old tricks. "To find out who this Miss Doolittle is." That she was a fraud! "That clearly indicates that she is foreign. I can tell that she was born Hungarian! How could she deceive another member of her race?" "I know each language on the map" said he, "and she's Hungarian as the first Hungarian rhapsody"
Ev'ry bit of credit For it all belongs to you!